This Web Page About Growing Parsnips says you can normally wait a month for the seed to germinate. 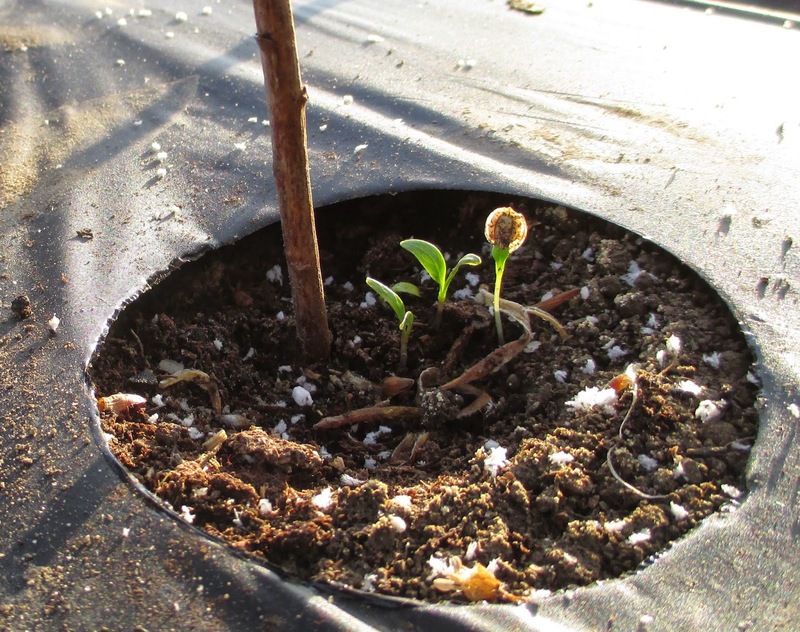 That being the case, I wondered if the shade discs I used for tri-growing carrots (and getting carrot seeds to sprout quickly) might hasten the germination of parsnip seeds too. Well, the picture above was taken 11 days after planting! This is my first year to grow parsnips. I'm excited to be off to such a good start. Tri-growing of carrots is in my Garden Idea Book (on page 87) and in my YouTube video series titled "Four Day Carrots." So, I guess you did use those disc shades? What a smart idea. I don't understand exactly how that works, but it seems to. Maybe it is worth the trouble. I don't know exactly why the idea works but it has been known for a long time that covering planted seeds hastens germination. If you have my garden idea book, the1869 almanac excerpt on page 89 attempts to provide an explanation why it works. I don't know if that explanation is correct, but covering up seed does speed up germination. My round shade discs are not necessary. Try it with some scrap pieces of wood and see.